Because pool fences plays a key role in safety, you want to be sure that you are hiring a fully licensed, experienced, and highly reputable fence contractor. A quality fencing company can be trusted to not only comply with current building codes, but also take care to ensure that young children are unable to get over, under, or through a pool fence without adult assistance. At Country Estate Fence Company, we have over 30 years of experience designing, building, and installing pool fences and are known for our superior results, fair prices, and excellent customer service. By using premium-grade materials, applying expert craftsmanship, and following the industry's latest design recommendations, we'll make sure that your pool fence will be durable, attractive, and safe. 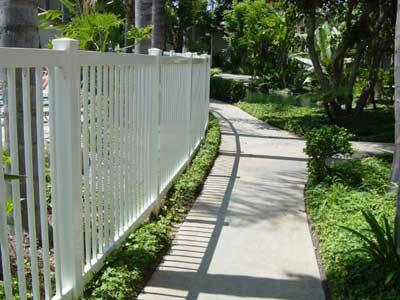 For those who prefer a long-lasting, low-maintenance fence, we recommend vinyl. Our Country Estate® vinyl pool fences are manufactured by Nebraska Plastics, Inc., the first company ever to make vinyl fencing. With over 70 years of experience, they set the standard for premium vinyl products. 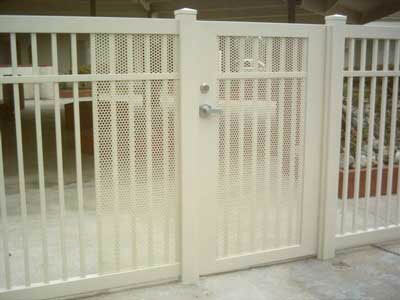 They make their fences exclusively out of 100% virgin PVC, and back them with a 50-year non-prorated limited warranty. 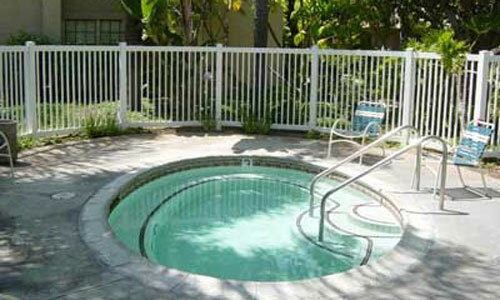 We also offer aluminum pool fences for those who prefer a wrought iron look and glass pool fences for those who wish to maintain their view. 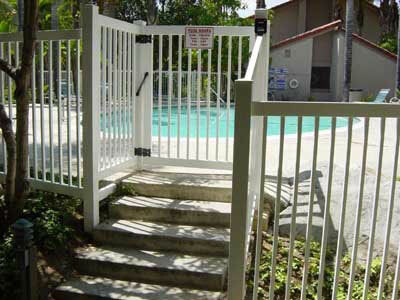 In every case, your new pool fence will be custom fit to your space, and feature non-climbable pickets, self-closing latches, and minimal spacing below the bottom rail and between the pickets. For help deciding what type of pool fence will best serve your needs, call us today and schedule a free on-site consultation. The workmanship, quality of materials, and all persons involved far exceeded our expectations!